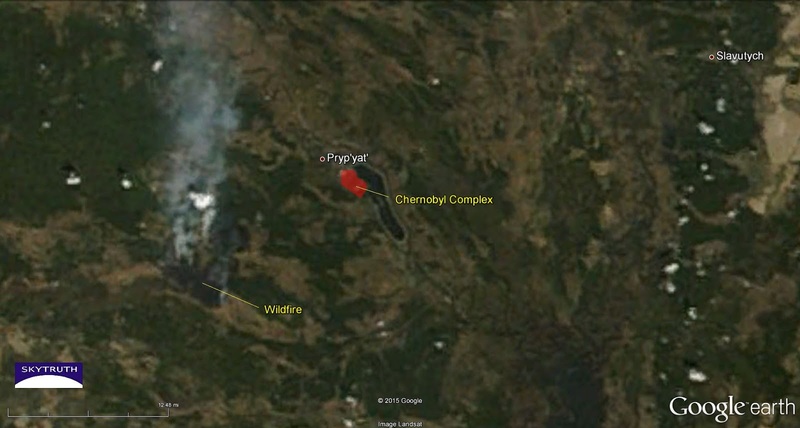 A large wildfire has scorched an area just 15 kilometers west-southwest of the Chernobyl nuclear power complex, a site infamous for a meltdown in 1986 that is considered the world’s deadliest and costliest nuclear power plant accident. This is uncomfortably close: anything within 30 kilometers of the power plant site lies within the so-called “Zone of Alienation” where Ukrainian scientists believe human habitation will not be possible for at least 20,000 years. Alien nation, indeed. This burned area is well within the exclusion zone, raising legitimate fears that radioactive ash was being lofted into the air and could be deposited many miles away across Europe. 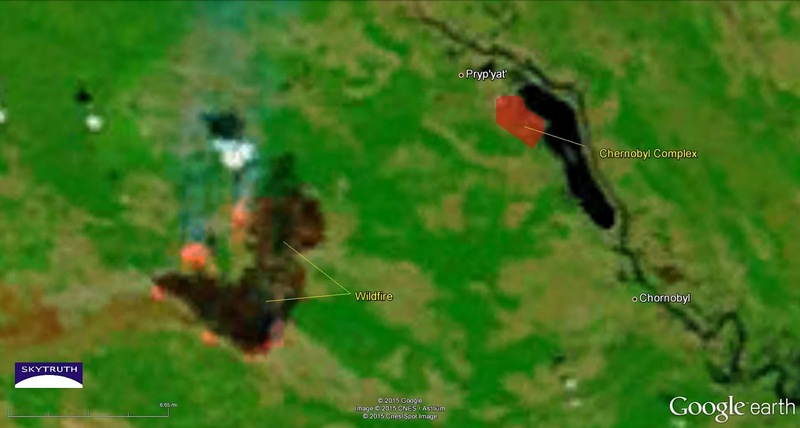 MODIS satellite image showing smoke plume blowing north from a large wildfire burning about 15km west-southwest of the Chernobyl nuclear power complex in Ukraine. 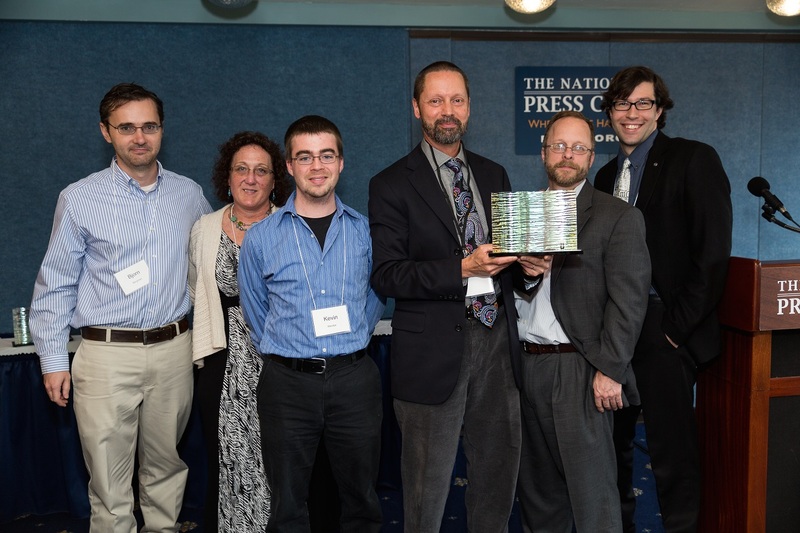 Image taken April 28, 2015. Natural-color composite courtesy MODIS Rapid Response Team. MODIS satellite imagery gives us a look at what’s happening. The last clear image of the fire was taken on April 28, although we also got a partially cloud-obscured image today (April 30). On the 28th, the plume of smoke was moving directly to the north from a burned area that covered about 67 square kilometers, with several obvious hotspots on the perimeter that were still vigorously burning. Today, we measure a total burned area of 113 km2 — almost double the size just two days ago — although active hotspots were not apparent on this morning’s MODIS image, suggesting the fire may indeed be under control. 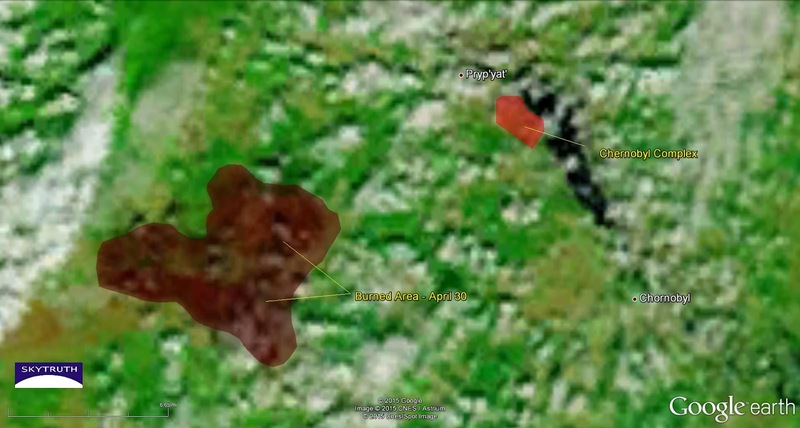 High-resolution satellite imagery in Google Earth, taken in 2011, shows the burned area was a mosaic of forest and scrub / open fields. Detail from MODIS image taken April 28, 2015. 721 infrared composite de-emphasizes smoke and haze, allowing clearer view of burned area and active fire hotspots. 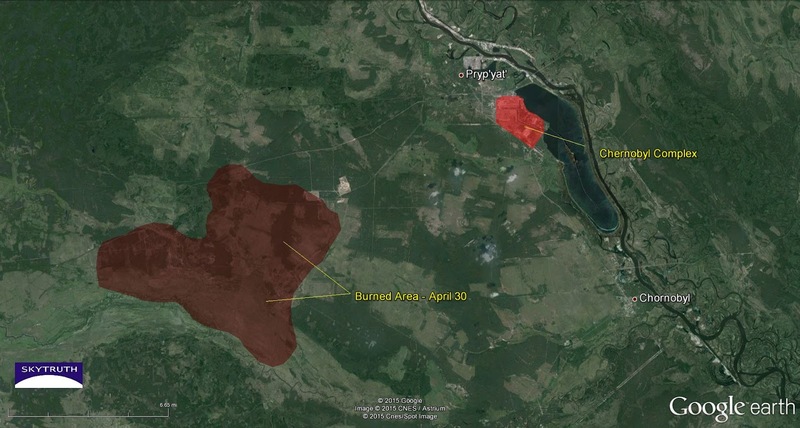 Same as above, with annotation delineating the burned area (67 km2) and active hotspots on April 28. Same area as above, on a MODIS satellite image taken this morning (April 30). Small cumulus clouds and haze obscure the scene, but a burned area covering 113 km2 is visible. No active hotspots are apparent on this 721 infrared composite. Same area as above, with April 30 burned extent overlain on high-resolution satellite imagery taken in 2011, showing the burned area is a mosaic of forests and scrub. 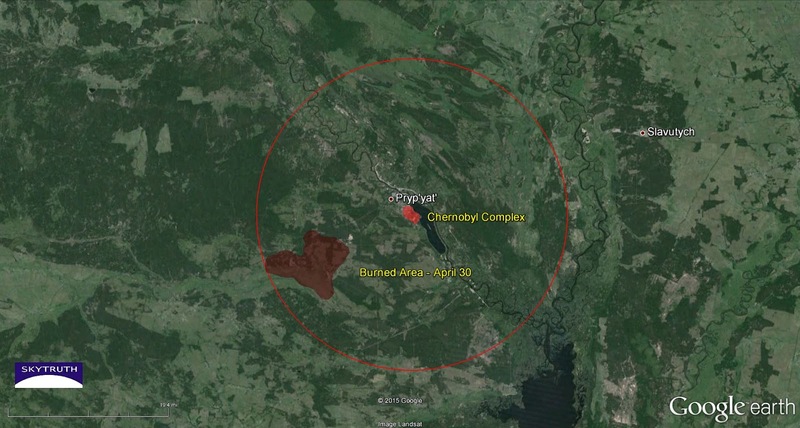 30-kilometer “Zone of Alienation” shown by red circle around the Chernobyl complex. This area is highly radioactive and thought to be uninhabitable by humans for at least the next 20,000 years. Visible smoke plume seen on April 28 MODIS satellite image (natural-color composite). Zone of Alienation shown as red circle. International borders are yellow. 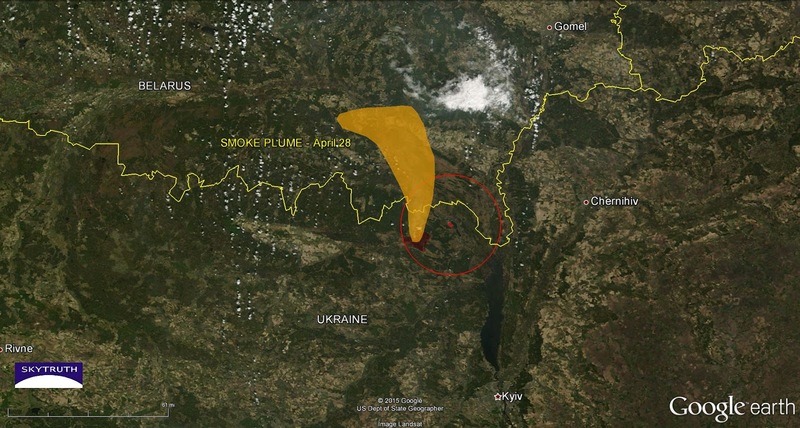 Visible plume extends at least 60 km into Belarus. 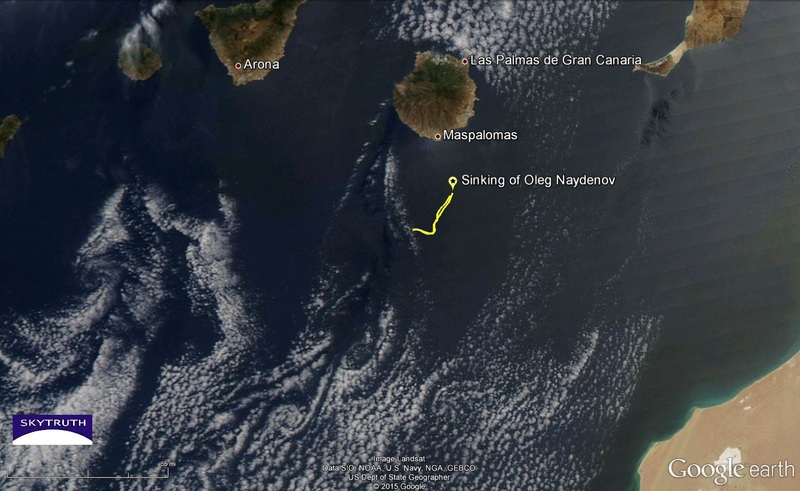 Ten days ago, a big Russian fishing trawler, the Oleg Naydenov, caught on fire in port in the Canary Islands. Spanish authorities had the burning vessel towed out to sea, where it sank in water nearly two miles deep about 15 miles south of the island of Gran Canaria. 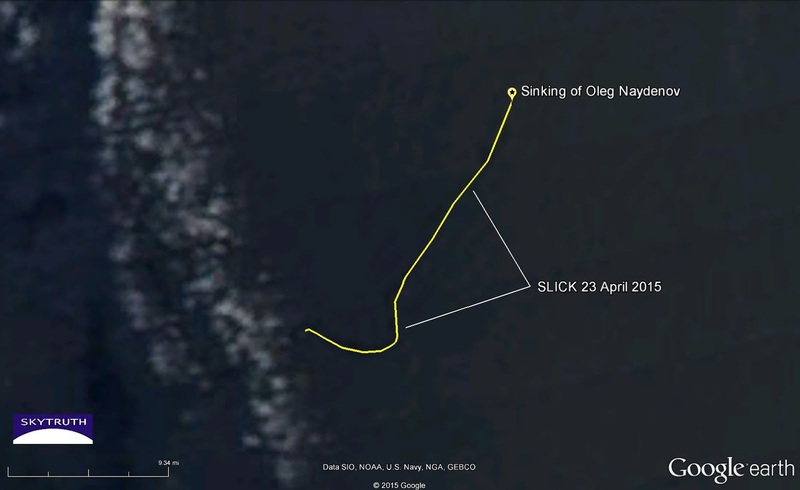 El País published a map showing the strange final voyage of the Oleg Naydenov as it was towed, in flames, from port and taken out to sea. Our tracking map showing the path of the vessel that did the towing. AIS data copyright exactEarth/ShipView. Includes material © 2015 exactEarth Ltd. All Rights Reserved. As predicted, fuel-oil is leaking from the sunken trawler and is reportedly coming ashore on some of the tourist-haven beaches. 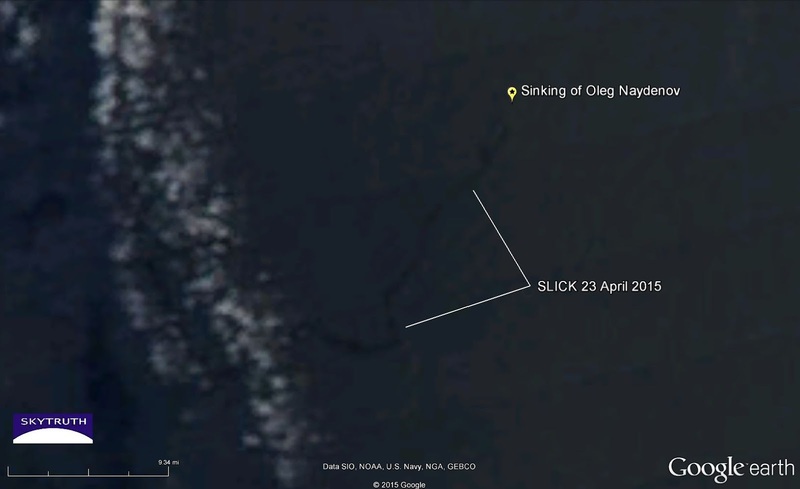 We’re curious because the slick we see very faintly on satellite images from April 21 and 23 clearly shows the oil moving to the south, away from the islands. The cloud patterns and wind-shadow indicate very strong winds blowing to the south, which would tend to push the oil in that direction. So it’s a bit of a mystery to us where the oil is coming from, that is washing ashore now on Gran Canaria. Check out the sequence of images below. This vessel has a back story. In early 2012 it was busted for fishing illegally in the waters off Senegal, apparently multiple times, after a dogged pursuit by Greenpeace. 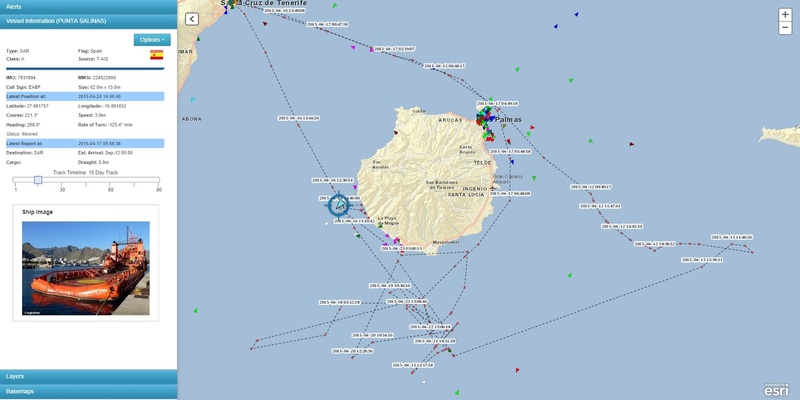 So this oil spill could be considered part of the “collateral damage” of IUU fishing activity. 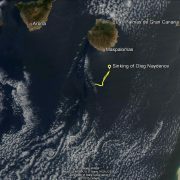 MODIS satellite image taken April 23, 2015, showing the southern Canary Islands, location of the sunken trawler Oleg Naydenov, and oil slicks (yellow) detected on satellite imagery from April 21 and 23. Coast of Africa at lower right. Note spiral-shaped cloud patterns indicating Karman vortices forming downwind of the islands, suggesting strong wind blowing from the north-northeast. The “J” shape of the slicks suggests they may be affected by a Karman vortex.. Detail from MODIS satellite image taken April 21, 2015. 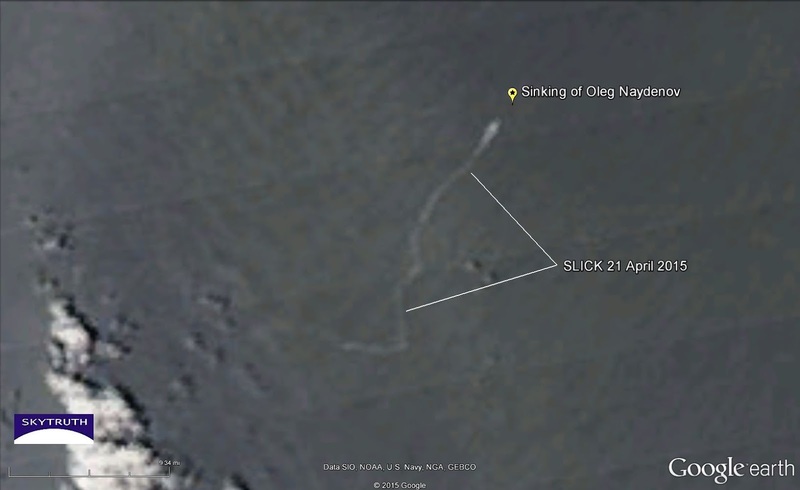 Slick appears as a bright streak trailing to the south-southwest away from the site of the sunken trawler. Clouds (and shadows) at lower left. Same image as above, with slick highlighted in yellow. Detail from MODIS satellite image taken April 23, 2015. Same area and scale as detail images above. Slick appears as faint dark feature in this image, due to different sunglint geometry than in the April 21 image. Five years ago today — Earth Day — the drifting, burning hulk of the Deepwater Horizon drill rig finally capsized and sank in water a mile deep out in the Gulf of Mexico. Eleven men had been killed and 17 injured in the explosion that had wracked the structure on the night of April 20. We crossed our fingers and hoped the well had choked itself in debris. But soon, viscous oil began bubbling relentlessly to the surface, and what would quickly become the nation’s worst accidental oil spill, and eventually the world’s worst, was spreading inexorably across the Gulf, overpowering our pathetically feeble efforts to contain and capture the oil. The final hours of the Deepwater Horizon drill rig on April 22, 2010. 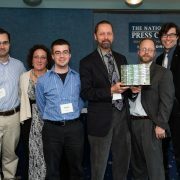 SkyTruth’s response was to independently document and measure the growing oil slick, and with help from Gulf oceanographer Ian MacDonald, challenge the unrealistically low “flow-rate” estimates coming from BP and being passed along to the public by the federal government. One positive result of that challenge was the government’s admission that it is both possible and important to measure a disaster — to know your enemy, so you can fight it to win, and be ready for the next battle. Another is the additional billions of dollars in fines that BP is responsible for, most of which will be applied to helping restore the crippled Gulf ecosystem, and the lives and livelihoods of people who depend on a clean, healthy, functioning Gulf. Accidents and near-misses continue in the Gulf. 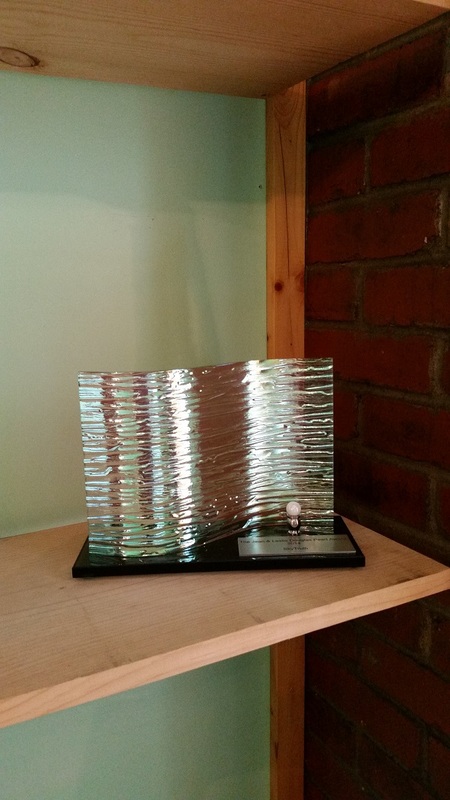 For example: earlier this month, a relatively small company you’ve probably never heard of had to abandon a very expensive deepwater well they were drilling 150 miles offshore due to a mechanical failure in the riser, the pipe that connects the well to the surface. In 2012, three workers were killed in an explosion and fire on an oil platform. The response by regulators has been slow and inadequate. Few of the recommendations of the National Oil Spill Commission have been implemented. Congress has taken little action to tighten up the oversight of offshore drilling. The Obama administration just proposed new requirements for the design, maintenance and operation of blowout preventers to beef them up, so they can actually cut through off-center pipe, but the requirements are being phased in over many years; and BOEM is only “studying” the possible requirement that BOPs be able to cut through the joints, where sections of pipe are screwed together, that make up 10% of a typical drillstring. This remains an obvious and glaring vulnerability in our last line of defense, a one-in-ten chance of failure. Industry has focused on winning the last war. Offshore drilling boosters claim industry has fixed the problem, but base that claim mostly on the development of a piece of hardware called a “capping stack,” modeled on the final engineering fix deployed during the BP spill that finally tamed the runaway well. These new devices are untried, but might work if we have another situation very similar to the Macondo blowout: an accessible wellhead on the seafloor, with an intact well casing. (The capping stack would sit on the dock, useless, in a scenario like the one Chevron experienced off Brazil in 2011: a blowout beneath the seafloor). It would also take as much as 2-3 weeks to assemble, mobilize, and deploy a capping stack for a deepwater blowout far offshore, meaning an inevitable spill of tens of millions of gallons: BP’s Macondo well was gushing 2.5 million gallons of oil per day, and actually could have been much worse — possibly up to 4.6 million gallons per day. Over 21 days, that’s nearly 100 million gallons of oil in the water before our first try at stopping a blowout. And that leads to our final point for today. We’re ignoring our staggering inability to clean up oil once it’s in the water. 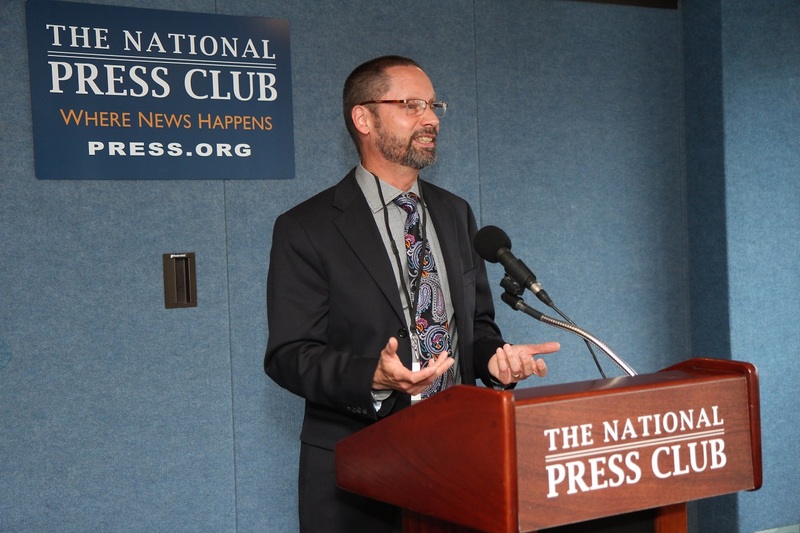 The federal government requires companies to calculate a worst-case spill scenario in the event of a total loss of well control, and submit for federal approval an oil spill response plan that could effectively handle all that oil. But the plans, which remain difficult to find, rely on the same old response methods — skimming, burning, and chemical dispersal — that woefully underperformed during the BP spill under mostly benign weather conditions. And we still don’t know if the use of chemical dispersants is a good idea or a bad one. 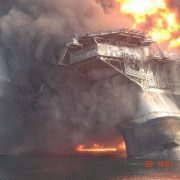 Like the Exxon Valdez spill, and the BP/Deepwater Horizon disaster, our next serious oil spill may prove to be a disturbing surprise: the result of a unique combination of failures that we haven’t been able to anticipate, creating a uniquely challenging situation that we’re not prepared for. I’d like to see a sustained national effort to reduce our dependence on oil and other fossil fuels that matches or exceeds our society’s investment in exploring for and producing those resources. But as long as we continue to forge ahead with drilling ultradeep high-pressure wells in ever-deeper water, the very least we can do is to invest in a serious, continuous effort to improve our ability to clean up oil in the water. Because as long as we continue to drill offshore, another major spill is an ever-present risk. https://skytruth.org/wp-content/uploads/2015/04/Deepwater_Horizon_Sinking.jpg 831 1106 John Amos /wp-content/uploads/2016/08/test_logo.png John Amos2015-04-22 15:40:002019-02-06 10:56:195 Years Ago....What's Changed? The problem of chronic offshore oil pollution has been getting some overdue attention lately (see our blog post on this topic yesterday). So as we approach the fifth year since the BP/Deepwater Horizon disaster began, we thought it would be interesting to show you all of the oil and hazardous material spills that have been reported in the Gulf since the BP spill was stopped in July 2010. Here is a map showing spills reported to the National Response Center (NRC) from July 2010 to April 2015. Each dot on the map represents an individual spill report. 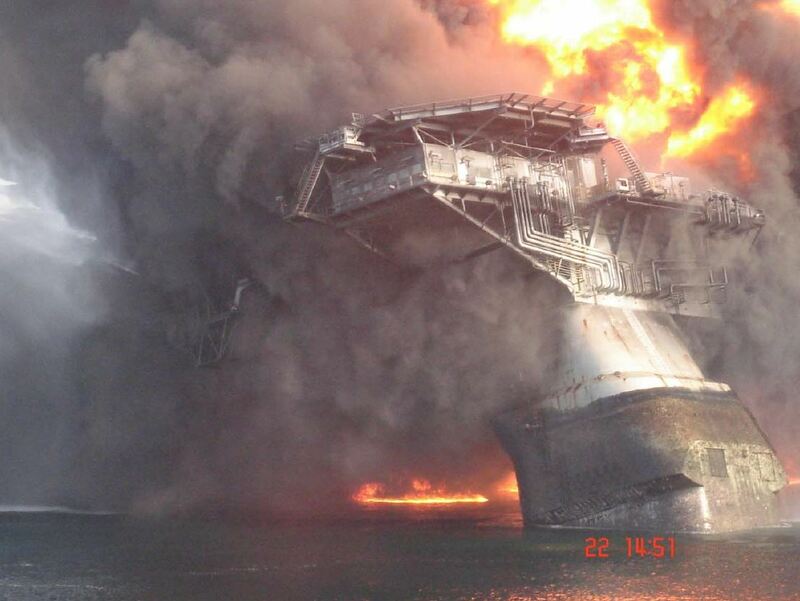 Nearly 10,000 spills in the Gulf have been reported to the NRC since July 2010. This map does not include releases to the air, only spills to the waters of the Gulf. Click here to see a full-screen version. Now not all of the incidents in this map are due to oil and gas drilling. Some reports refer to spills from boating accidents or leaks from other industrial operations. But compare the pollution reported in the waters off Texas and Louisiana with the reports made in the waters west of Florida. Florida has far fewer pollution reports – not because they drill more safely or don’t report to the NRC – but because there aren’t any producing offshore oil wells in the eastern Gulf of Mexico.